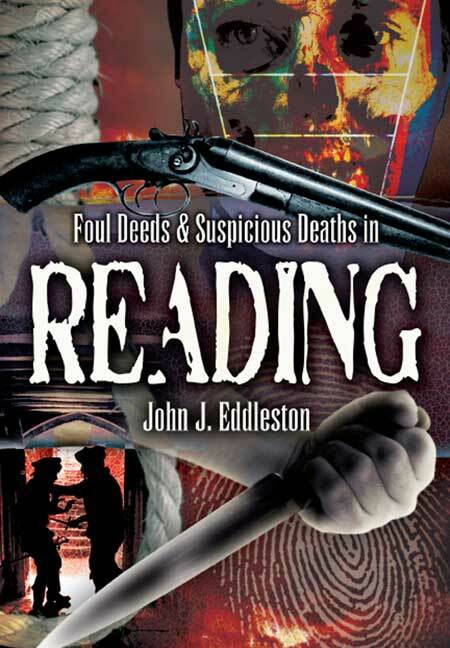 You'll be £12.99 closer to your next £10.00 credit when you purchase Foul Deeds and Suspicious Deaths in Reading. What's this? Order within the next 6 hours, 49 minutes to get your order processed the next working day! John Eddleston’s latest selection of notorious criminal cases takes the reader through a sequence of sensational episodes that have marred the history of Reading. His book is based on original research, and it recalls many grisly events and sad or unsavoury individuals whose fate has hitherto been forgotten. Among the shocking crimes he reconstructs are those of the baby-farmer Amelia Dyer, the unsolved murder of Alfred Oliver, the suffocation of Beatrice Cox, the red Mini murder of June Cook, and the attempted murder of a family of five. This chronicle of the dark side of Reading's long history will be fascinating reading for anyone who is interested in the town's rich - sometimes gruesome - past. The author's latest selection of notorious criminal cases takes the reader through a sequence of sensational episodes that have marred the history of Reading. His book is based on original research, and it recalls many grisly events. It should appeal to everyone interested in the darker side of the town's history! John J. Eddleston is an authority on British criminal history and a prolific writer on the subject. His many books include Murderous Sussex, Murderous Manchester, Blind Justice, Jack the Ripper: An Encyclopedia, The Encyclopedia of Executions, A Century of Welsh Murders and Executions, Manx Killers, Foul Deeds and Suspicious Deaths in Southampton and Miscarriages of Justice: Famous London Cases.